Although some consider shoplifting a “petty crime,” the reality is shoplifters in Florida can and often do face serious criminal penalties, including lengthy jail sentences and fines. 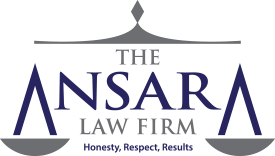 The Ansara Law Firm’s Fort Lauderdale shoplifting defense lawyers know there is no specific charge in Florida specifically for “shoplifting,” but we do have one for “retail theft,” as codified in F.S. 812.015. Taking possession of or carrying away merchant property. Altering price tags or labels. Transferring merchandise from one container to another. Removing a shopping cart with items from a store without paying. Acting with intention to deprive the store/ merchant of the possession/ use/ benefit or full retail value of item(s). Petit theft – F.S. 812.014, involves stealing property from a business when the value of the property is less than $300. Grand theft – F.S. 812.014, involves stealing property from a business when the value of that property is greater than $300. If store staff or security have probable cause to believe someone has committed a shoplifting offense, the store has the right to detain someone – in a manner and length of time that is reasonable – to retrieve the items suspected stolen or to initiate prosecution. While law enforcement agencies rarely used to give such cases priority in the past, that has changed. Because these offenses are on the rise in Florida, local police departments, sheriff’s offices, state police and state attorney’s offices have all developed specialized departments and task forces to combat theft-related crimes – including shoplifting. Large retailers have invested millions upon millions of dollars in theft prevention and security. This inevitably has led to a degree of overzealousness, which we have seen result in false accusations and misunderstandings leading to arrest. No matter what the circumstances that gave rise to your situation, these are not charges you should attempt to take on without the aid of an experienced lawyer. Penalties for shoplifting generally depend on the value of the property alleged to be stolen. If you are convicted of petit theft, it is considered a second-degree misdemeanor, which can result in a jail sentence of up to 60 days. That’s for a first-time offense, and assuming the value of the alleged merchandise stolen was less than $100. It will also result in the mandatory suspension of your driving privileges for up to six months. A second offense or theft of items valued at more than $100 but less than $300 is a first-degree misdemeanor, which is punishable by up to one year of imprisonment. It can also result in the mandatory suspension of your driving privileges for one year. A conviction for grand theft (more than $300 and less than $5,000) is a third-degree felony, which means it carries a penalty of up to five years in prison, plus five years of probation on top of that and a $5,000 fine. If the value of items you attempted to take is valued at more than $5,000, you are now facing a second-degree felony, which carries a maximum penalty of up to 15 years in prison. In addition to these criminal penalties for a conviction of shoplifting, one must consider that shoplifting is deemed a “crime of dishonesty.” What this means is any conviction is going to carry a negative stigma that has the potential to permanently affect a person’s ability to attain employment, acceptance into colleges and certain professional licenses. Under Florida’s civil recovery law, merchants must make a written demand for payment, and if the accused shoplifter pays within 30 days, he or she will be released from liability. However, a defendant should always check with a criminal defense lawyer before doing this because the last thing they want is for payment of this amount to be construed as an admission of guilt in the criminal proceedings. Some counties in Florida allow first-time, low-level offenders to participate in pre-trial diversion programs. First-time shoplifting offenders are often considered for these programs. If the evidence against you is substantial, this would be one option. Generally, it includes some form of community service, restitution and other interventions, and once completed successfully, the criminal charges are dropped and can later be expunged or sealed. If no diversion is available in your case, your defense lawyer may explore the possibility of a plea bargain with the prosecutor, which involves seeking to have the charges or sentence lowered in exchange for a guilty plea. This is generally a last resort, when other pre-trial defenses haven’t been or cannot be effective. If you have been charged with shoplifting in South Florida, contact the Fort Lauderdale Criminal Defense Lawyers at The Ansara Law Firm by calling (877) 277-3780.